"J-I--JINGLE T-H--THON" - A Christmas tree fire leads Maya to tell a small lie with big consequences. Meanwhile, Ray struggles to live in Pepper's shadow as Dylan twists the knife, and JJ encourages Kenneth to stand up to his sisters (guest stars Niecy Nash and Lisa Leslie), on the holiday episode of "Speechless," airing FRIDAY, DEC. 14 (8:30-9:00 p.m. EST), as part of the new TGIF programming block on The ABC Television Network, streaming and on demand. 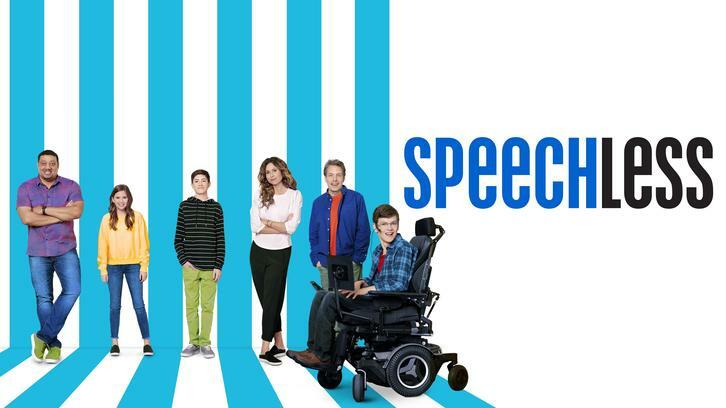 "Speechless" stars Minnie Driver as Maya DiMeo, John Ross Bowie ("The Big Bang Theory") as Jimmy DiMeo, Mason Cook as Ray DiMeo, Micah Fowler as JJ DiMeo, Kyla Kenedy as Dylan DiMeo and Cedric Yarbrough as Kenneth. Guest starring in this episode is Marin Hinkle as Dr. Miller, Lisa Leslie as Kendall, Niecy Nash as Kiki, Tricia O'Kelley as Candy Kensington, Bobby Neely as Fireman, Anisha Adusumilli as Mallika, Jordan R. Coleman as Uber Driver, Brian Lohmann as Science Teacher, Ashlyn Ani as Basketball Player #1, Lena Torluemke as Basketball Player #2/Sasha, Steve Hytner as News Anchor, Alexander Dominguez as Blake and John Maholm as Santa. "J-I--JINGLE T-H--THON" was written by Greg Gallant and directed by Rob Cohen.